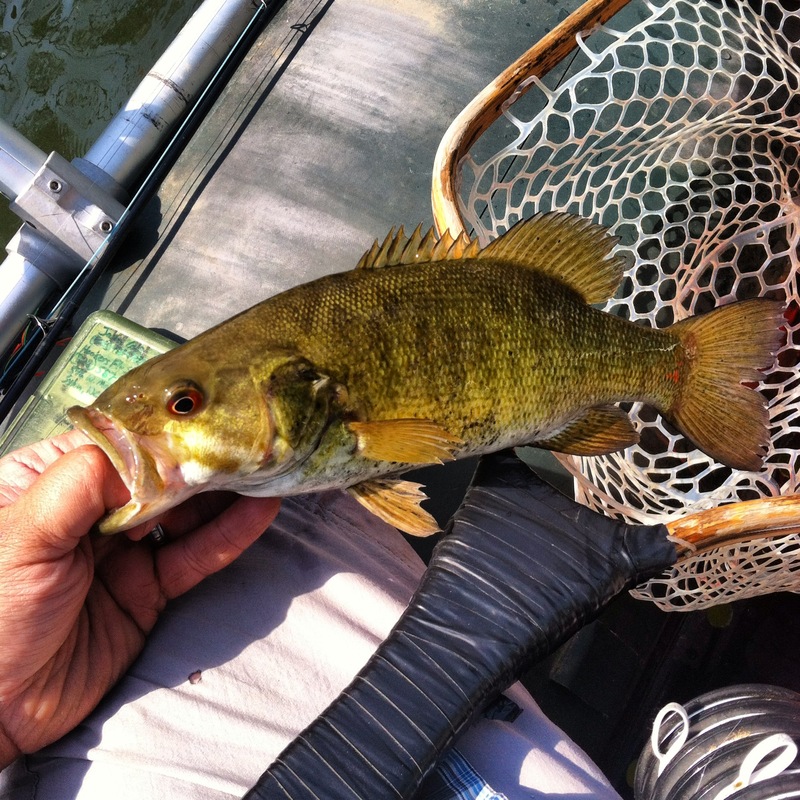 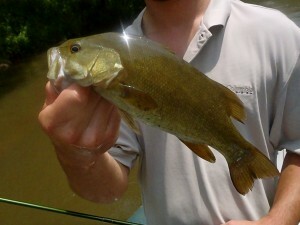 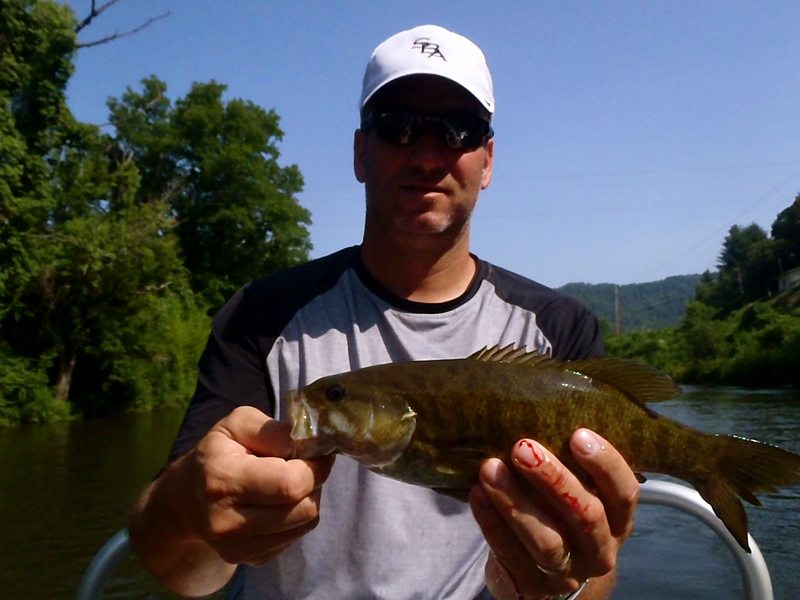 Smallmouth Bass Trips near the Smokies | Hookers Fly Shop and Guide Service. Your Smokies Fly Fishing Experience. 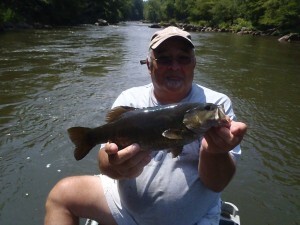 Hookers Fly Shop offers both wade and float trips in the Western North Carolina area, including the Little Tennessee River and the Tuckasegee River for Smallmouth Bass. Hookers Fly Shop is only outfitter that offers seven different sections to float on the Upper and Lower Tuckasegee river for smallmouth bass. 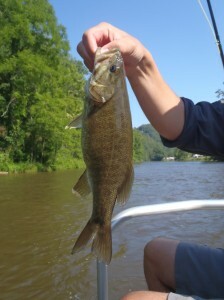 Anglers will also have the opportunity to catch plenty of other species of fish on these trips. In addition to Smallmouth, Rainbow and Brown trout, Red Eye Bass, Largemouth, Spotted Bass, Walleye, and Perch are often brought to the net. 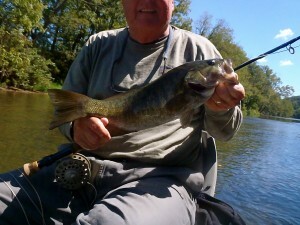 There are even rumors that Muskie roam these waters. 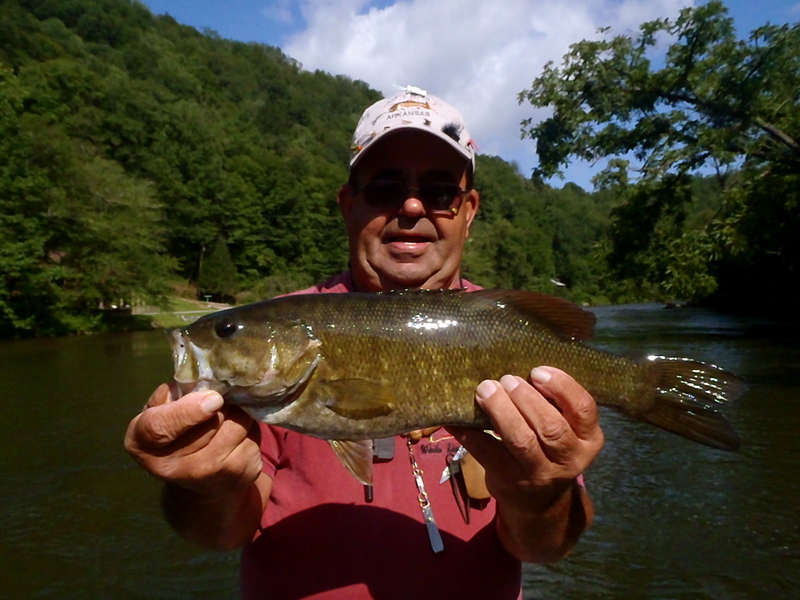 Use the convenient form below to book a trip or inquire about our services and one of our employees will contact you in less than 24 hours to confirm the trip. 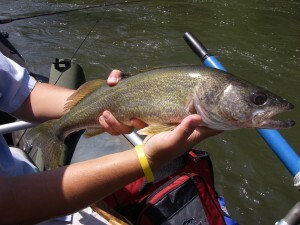 In the message line list the type of trip, length, number of anglers and the date of the trip.